Whether you're buying a home, a car or applying for a credit card - lenders want to know the risk they?re taking by lending you money. FICO® Scores are the credit scores used by 90% of top lenders to determine your credit risk. Your FICO® Scores (you have FICO® Scores for each of the 3 major bureaus) can affect how much money a lender will lend you and at what terms (interest rate). Higher FICO® Scores can often help you qualify for better rates from lenders - which can save you money! 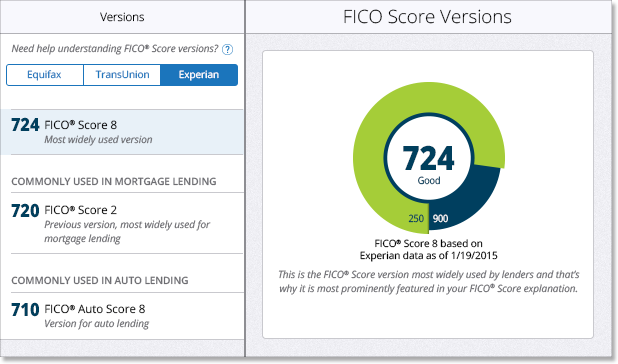 Take a look at the example FICO® Scores report and you can see that it shows your FICO® Scores in big bold numbers as well as a general indication of how your score relates to other U.S. consumers (poor to exceptional). Base FICO® Scores range from 300-850, and industry-specific FICO® Scores range from 250-900 - higher is better. For more information, see the What's in your score page. Your FICO® Scores are calculated using the information in your credit reports. These reports contain the information that each credit bureau has on file about you. 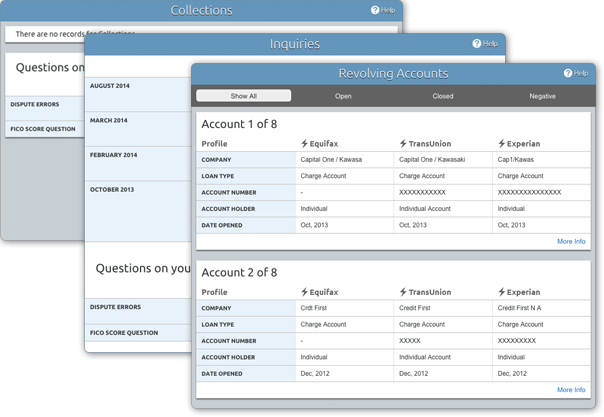 This sample credit report shows a few examples of the types of information that the credit bureaus collect, such as your credit accounts, how many times lenders have requested information about your credit (Inquiries), and how many times lenders have turned your account over to a collection agency (Collections).